The NJ EPA requires that companies monitor stack gas effluents and report them monthly. A large printing company in northern NJ required a system that would acquire data from several stack gas sensors (i.e. NOx and CO) and oven temperature sensors, and log this data to disk for later use in creating a monthly EPA report. The noxious fumes that evolve from their printing presses are passed through a scrubber before being released to the atmosphere. The exhaust gas sensors were mounted in the effluent stack. 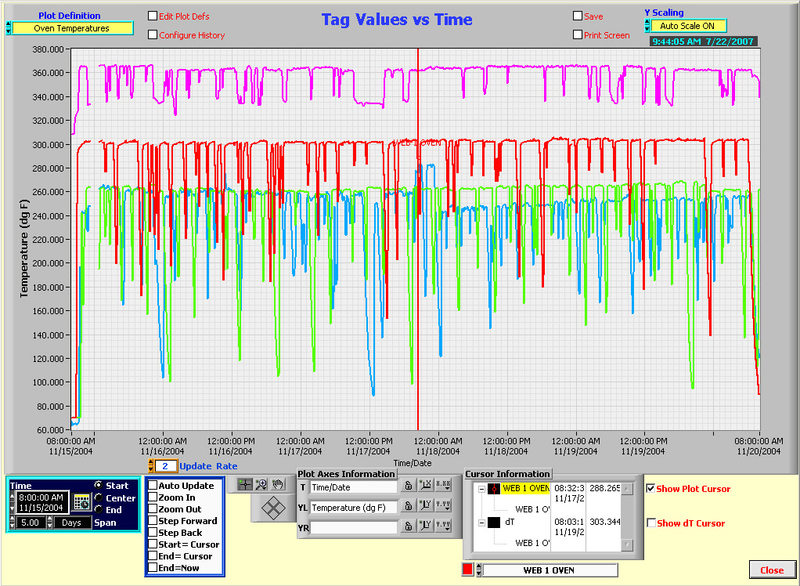 The PAC TrendSafe-SCADA software with its integrated Data Historian, was used as the platform for developing LabVIEW based monitoring and reporting software. TrendSafe provided almost all of the Pictorial Offset requirements. 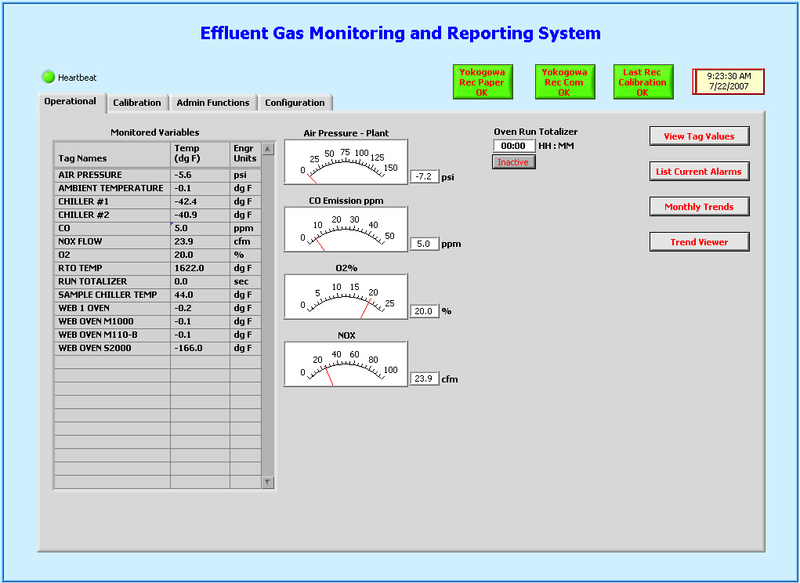 A custom interface program was developed to acquire stack gas data from their gas (paper) recorder. Oven temperatures were acquired over the LAN, using National Instrument’s FieldPoint modules. Custom screens were developed to support, alarms, reporting and configuration. Sensor data was acquired at a once/second rate. The monthly reports required that monthly averages be calculated, for each important sensor being monitored, from the once/second data. TrendSafe-SCADA database data was retrieved and processed to create Daily, Monthly, Quarterly and Annual EPA Reports. © Copyright 2019 - Process Automation, Inc.